Why should you have to pay to withdraw cash from the ATM? 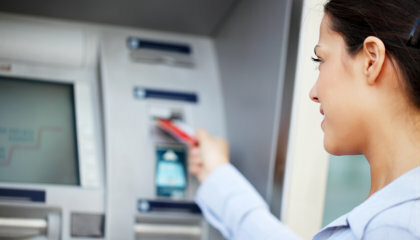 At Frontier Bank you can enjoy surcharge-free ATM access, nationwide! Simply locate a surcharge-free ATM near you at the Shazam or Cirrus site, or download our mobile banking app to make finding an ATM even easier. Of course, you'll never be charged for using a Frontier Bank ATM. Or find ATMs by downloading our mobile banking app!